Look at this beautiful train car. Look at it. Ton, who uses the twitter handle @ton_kenji, loves trains. As a former game developer, part of his former job consisted of making CG train cars. 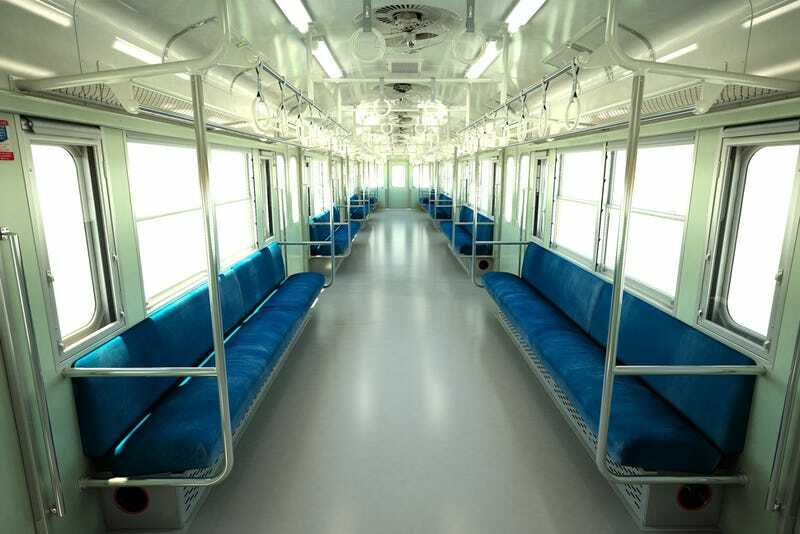 Over a year ago, he undertook the personal project of recreating a 103 series passenger train car in CG and yesterday, after 103 hours and 30 minutes of rendering time, the passenger space was completed. While you might think that a year and 6 months is a little bit of overkill for making a simple train car, you might want to consider the fact that Ton has rendered the entire car from the ground up, insides and all – including every single bolt that holds it together. Ton's blog, Old Old Staff Room (元元スタッフの部屋) records the entire journey, and while it's all in Japanese, it's still fascinating just to see all the images of his progress. The latest blog entry, which shows the completed passenger compartment, also includes resource images of various 103 series passenger train cars. If it wasn't for the passengers and outside scenery, it'd be nearly impossible to pick the CG render out of the lineup. Ton still has the engineer's cabin to complete, so it'll be a while before he's done. Still, what he's done so far is impressive enough as it is. Can't wait to see the completed 103 in all its glory, whenever that is.